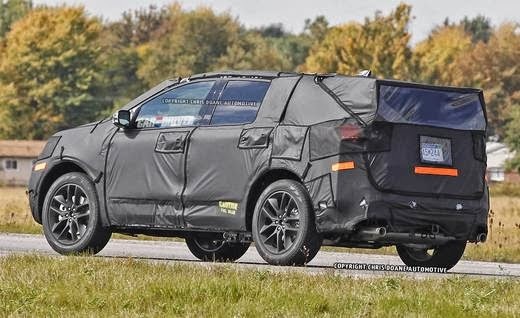 BRIGHTON, Mich. - Detroit residents were given a sneak peek of the 2015 Ford Edge this week, as four prototypes were seen on the outskirts of the Motor City. While the vehicle was heavily camouflaged, its wide stance and size made it easily recognizable by photographers. 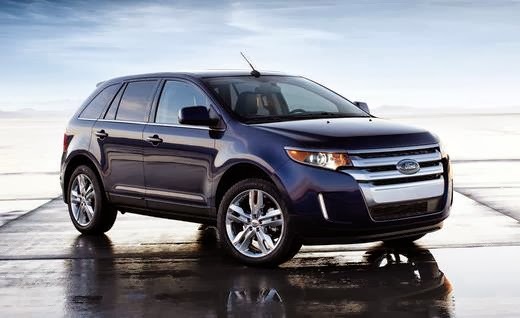 Despite the camouflage, it's still easy to see that the 2015 Ford Edge will only be undergoing minor updates. The three-bar grill will be kept on this model, however, it looks to be more three-dimensional. As for the rest of the vehicle's shape, it appears to resemble the previous Edge's architecture. 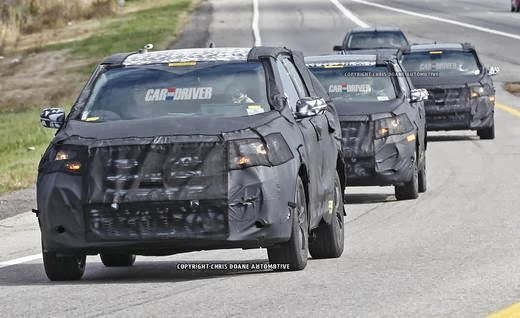 The current Edge's standard v-6 engine and 240 hp, 2.0-liter Ecoboost four option are expected to carry over to the new model, while the Edge's platform is expected to undergo a major upgrade to the current Fusion's underpinnings. However, it will most likely keep its two-row seating arrangement. Unfortunately, all of the information we have comes from observations and rumors. 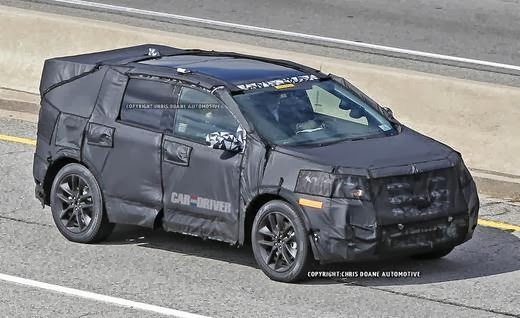 Ford will most likely reveal all accurate specifications and more, next month at the L.A. Auto Show where the redesigned model will be revealed. If you'd like to discuss the sneak peek at the 2015 Ford Edge, or check out the current model for sale on our lot, we'd love to see you! Stop by anytime at our White Lake Area Ford Dealership and we'll have one of our friendly and knowledgeable team members show you our great selection of New Ford Cars, New Ford Trucks, and more!